Welcome to BLUE SKY AVIATION ! Flexibility, comfort, speed, efficiency and enjoyment are the rewards of flying your own plane, whether it is for business or pleasure. With the three BLUE SKY AVIATION aeroplanes you can fly with speed and convenience in your own mobile office to your business meetings... or take your family to your favourite holiday destination! 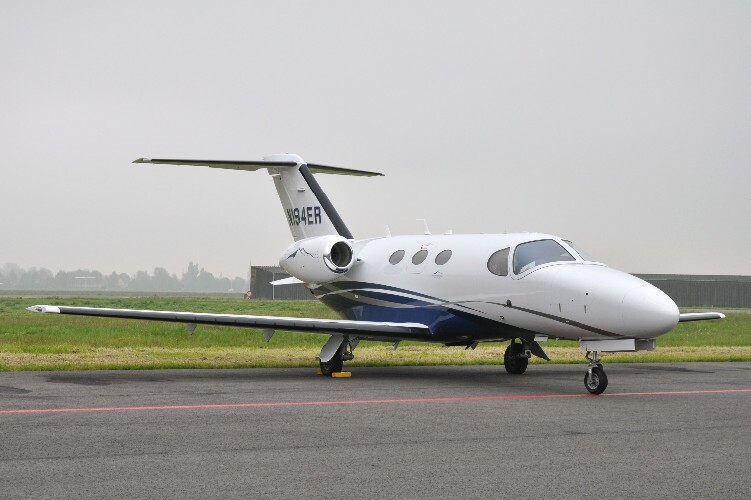 The aircraft were carefully and specifically selected for their exceptional value for money and their ability to transport you to destinations that would otherwise be difficult or impossible to reach. 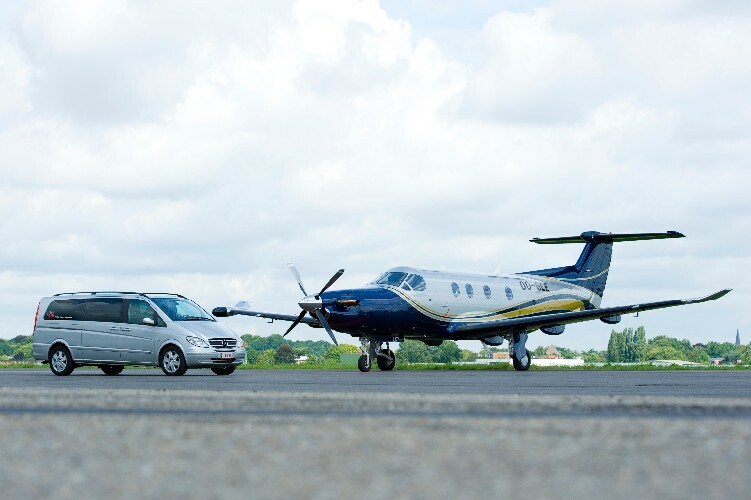 BLUE SKY AVIATION offers fractional ownership so that you, as a co-owner, can travel to your destination with your own aircraft in an affordable, transparent and safe way. If you join BLUE SKY AVIATION you will receive regular updates informing you of empty flights, which you may board at heavily reduced rates, and all kinds of news. The more people participating, the more these opportunities will occur and the cheaper the flights will be! Our network will expand each year and this will benefit all members! 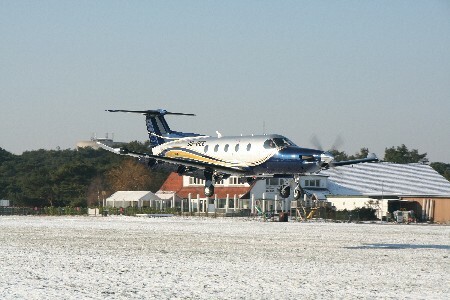 The Pilatus PC -12 NG is a unique aircraft built by the renowned Swiss aircraft manufacturer Pilatus Aircraft Ltd.
Pilatus stands for reliability, superb technology, experience and Swiss precision. 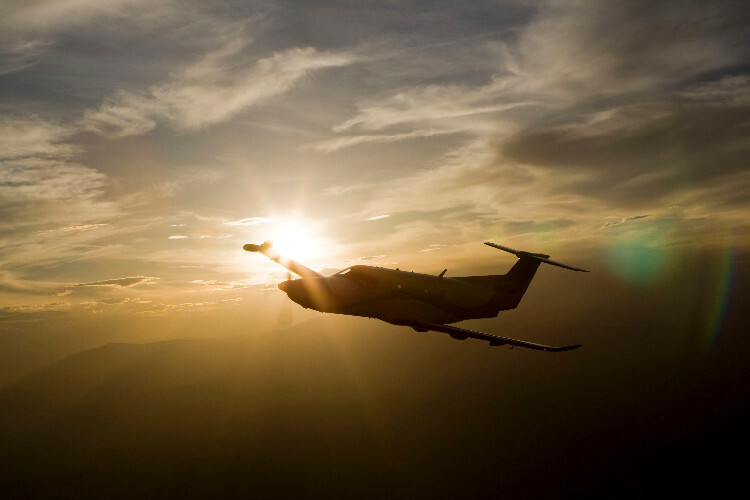 The Pilatus PC -12 NG combines a comfortable and luxurious cabin with flexibility, performance and a wide flying range at the best possible price. 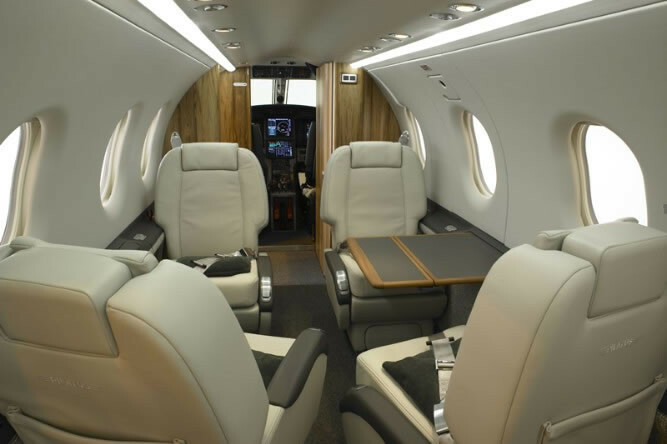 The PC -12 NG offers a very spacious cabin that provides several opportunities for people transport in VIP or commuter configuration with plenty of luggage space. There are several versions available, including 4 seats, 6 seats, or 8 seats. The plane is equipped with a separate toilet and a practical cargo door. The finishing of the interior and exterior is of very high quality. The interior design is by BMW Designworks. Acquisition, operational costs and maintenance are key factors when it comes to economic efficiency. 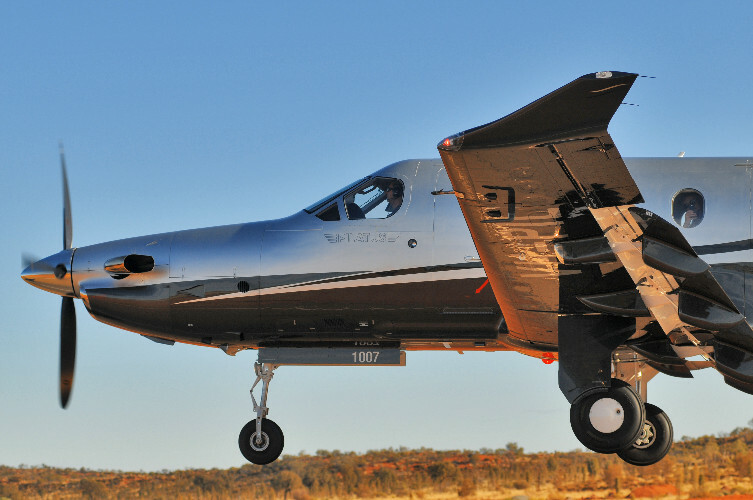 In this context, the single-engine concept is a successful and safe choice! You save not only on the acquisition, but also on the fuel consumption and maintenance costs of the engine (approx. 50 % savings compared to a jet). 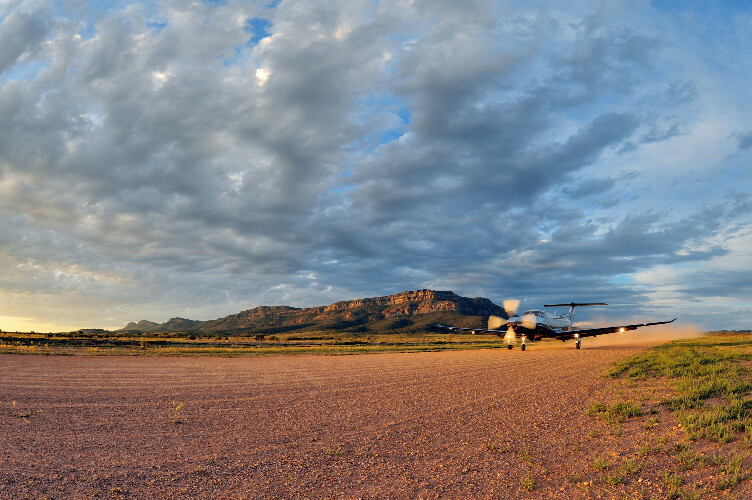 The Pilatus PC -12 NG is so agile that it can land on both paved and unpaved landing strips. This aeroplane is allowed to fly to most of the popular European airports anyway, but even airports such as Courchevel and Goodwood pose no problem to this craft (provided the weather conditions are favourable). 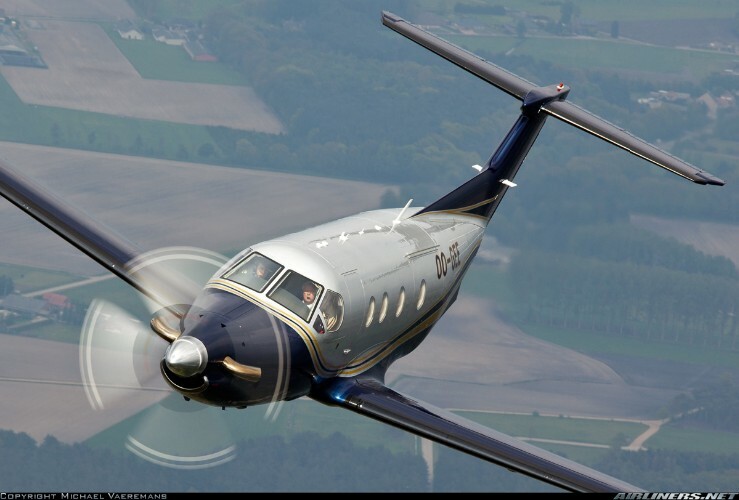 Download more information about the PILATUS PC-12 NG here. 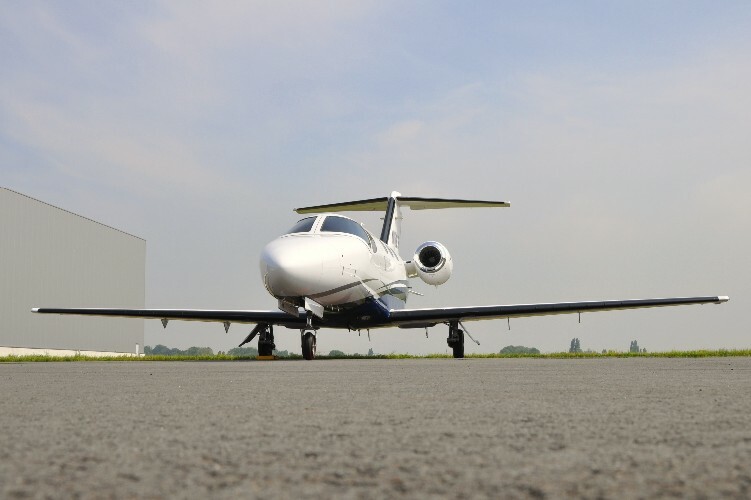 The Cessna Citation Mustang presents a new concept of business jet. The Mustang was designed to bring jet ownership to a new group of potential owners. A comfortable and luxurious cabin is combined with the speed of a jet and a reasonable flying range at the best possible price. 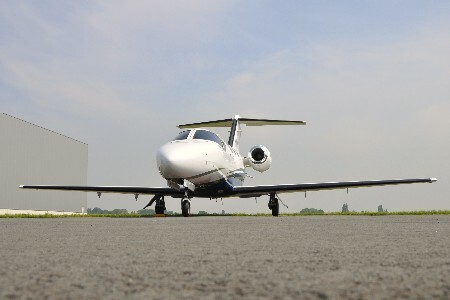 The Cessna Citation Mustang features external luggage compartments in the nose and tail. In total more than 1.63 m3 of luggage space is available. The tail compartment is even designed to hold skis. The Mustang has a cabin in which space, comfort and tasteful luxury are combined in a unique way. 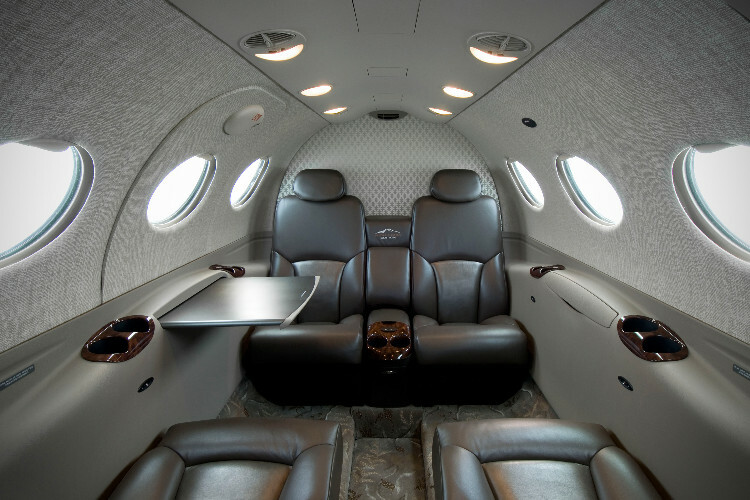 The six large oval windows and club seating create a spacious and open atmosphere in the cabin. The finishing is of good quality: folding tables, leather seats, thick carpets, functional storage for catering, a toilet and numerous comfort-enhancing elements. 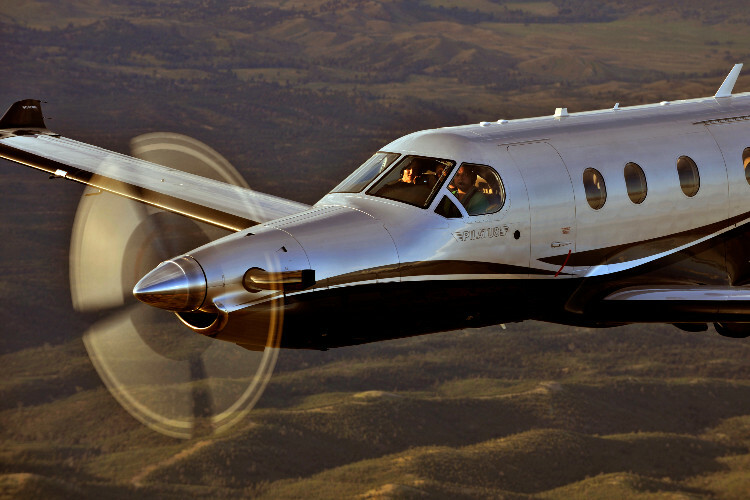 Cessna has sold more aircraft than any other manufacturer in its sector in aviation history. 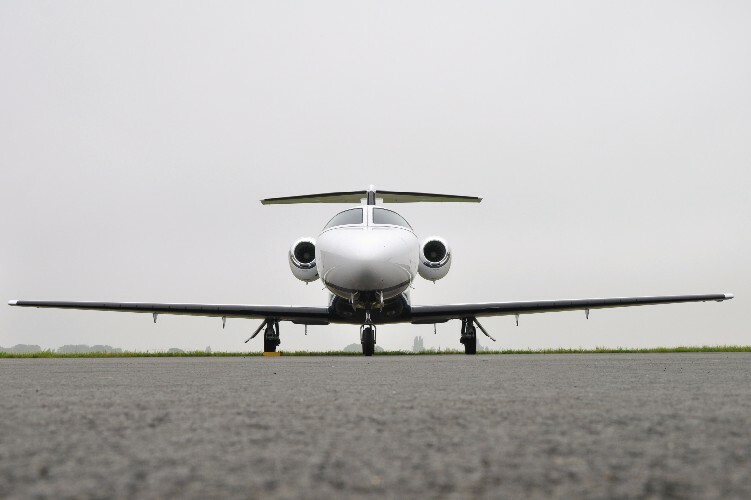 There are numerous reasons why the Cessna Citation Mustang is so successful: performance, value for money, reliability and value retention. 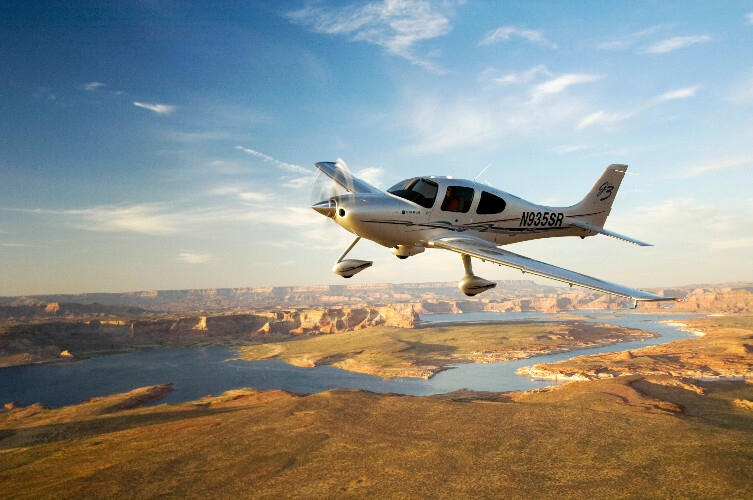 Most importantly, safety is always an absolute priority to Cessna. 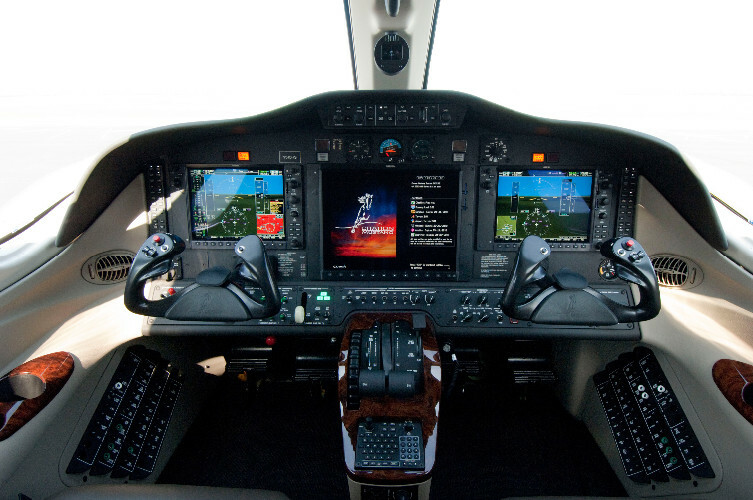 For this reason the aircraft was also equipped with a unique set of Garmin Avionics (G1000). Download more information about the CESSNA CITATION MUSTANG here. The Cirrus SR22 Perspective G3 is a single-engine four-seater and is unique in its class in terms of technological innovation, safety, comfort and speed. The acquisition cost of the unit is on the high side (compared with other craft of its kind) but you get so much in return! Cirrus has built a very strong reputation over the years and has easily surpassed its competition in this sector. The Cirrus aeroplanes were developed from scratch in the 90s and owe their success to a totally renewed approach with equipment usually found only in larger types (glass cockpit G1000), an "easy to fly concept" (side stick and digital autopilot). 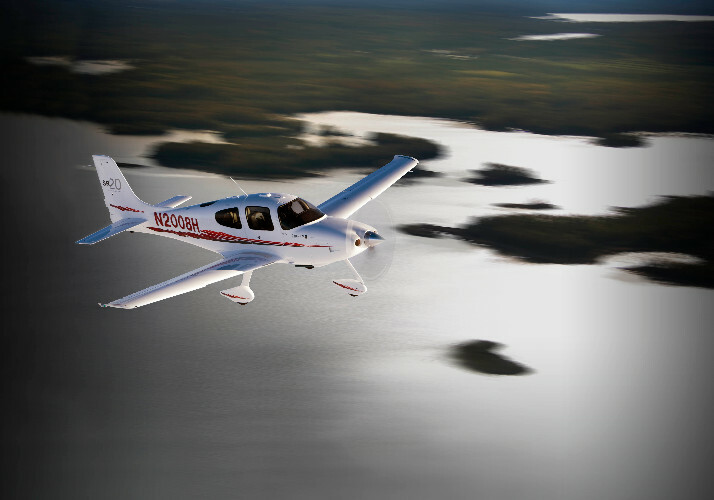 The Cirrus SR22 Perspective G3 has a patented safety system (CAPS = a parachute built into the plane) and improved performance (with speeds over 300 km / h). 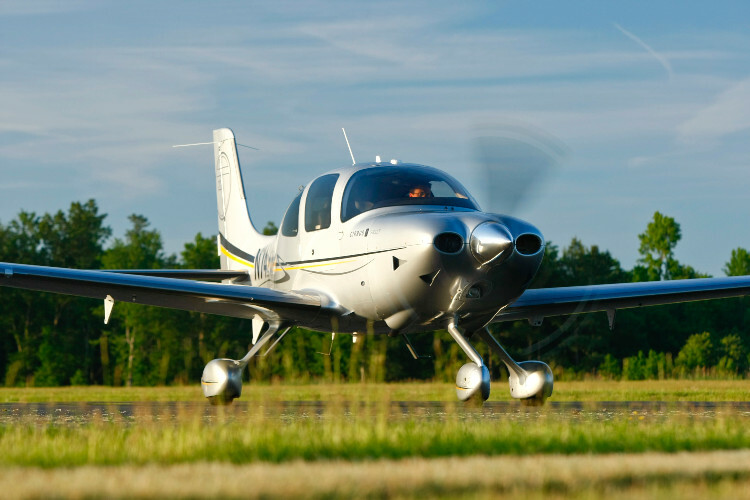 Moreover, the Cirrus is the first in its class in to equip its planes with a FIKI system (Flight Into Known Icing), an indispensable tool for flights in Europe for all weather conditions! Blue Sky has its own Cirrus (full motion!) Simulator to train pilots, which is also available to you as a participant! 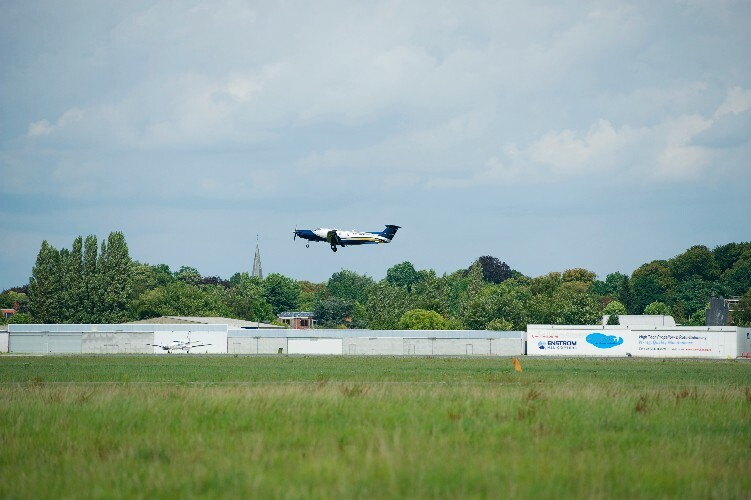 To enquire about this experience and also our private pilot training, please contact Blue Sky. 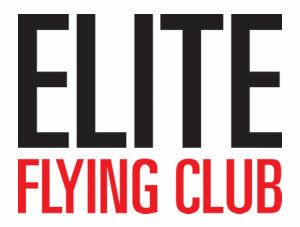 JOIN THE CLUB and learn to fly your own private plane! 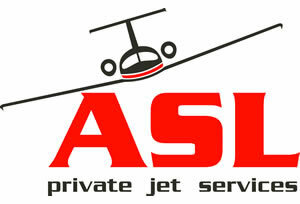 We are delighted with your interest in BLUE SKY AVIATION. Each partner invests a certain amount of money in SCRL BLUE SKY AVIATION, depending on the chosen plane they think they would fly the most. This investment is a one-off subscription fee, which makes the partner a co-shareholder in SCRL BLUE SKY AVIATION and therefore acquires the right to annual flying hours with the selected plane – and under extraordinary conditions. 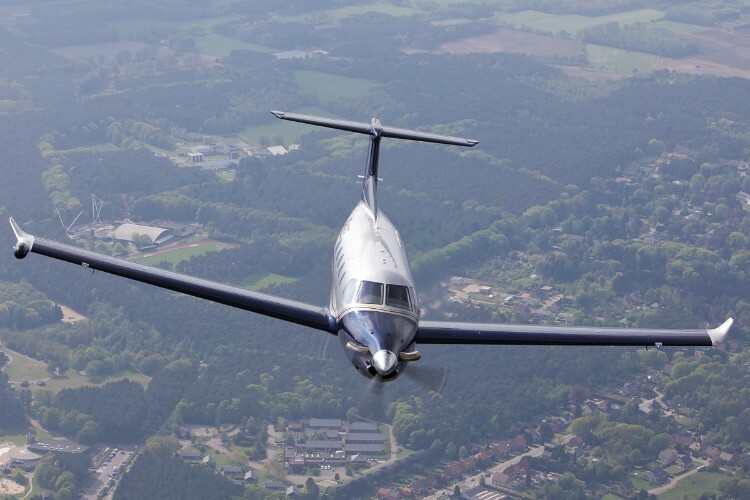 Each flight will be operated as a private flight in which you, as a shareholder of BLUE SKY, can enjoy the benefit of a private aeroplane without having to make the huge investments you would have to make if you bought an aircraft by yourself. 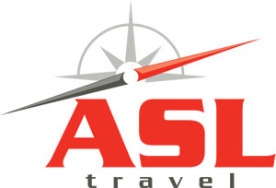 We will be happy to provide more detailed explanations of these packages during our first personal meeting. Each partner will make a contribution to the annual fixed costs of the plane. These fixed costs include storage of the aircraft, insurance, training pilots, etc... They are calculated monthly and are a function of the selected programme. Each partner will be charged the variable costs only when they use their aeroplane. These charges are a function of the flight time and also of the selected plane. 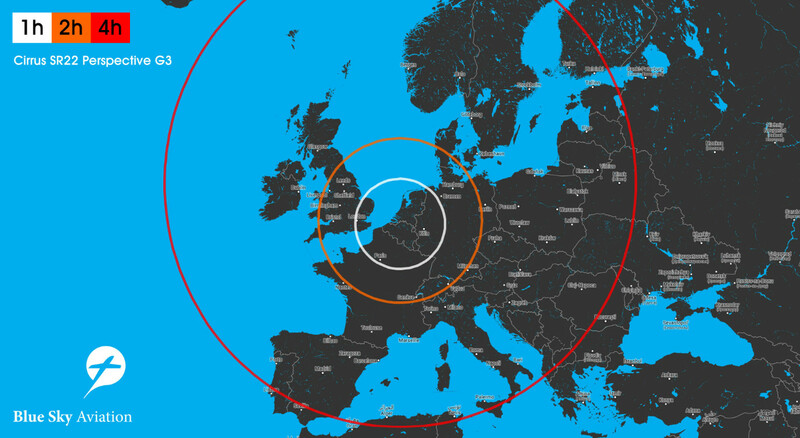 What makes BLUE SKY AVIATION unique is that the flight times are calculated based on the actual flown flight times (wheels off the ground-wheels on the ground) and not on when the plane is started – this will quickly save you an extra 10 to 20 minutes! If you would like more information or a visit from one of our dedicated staff please email us at info@blueskyaviation.eu! Would you like more information or would you like a visit from one of our dedicated staff? BLUE SKY AVIATION only works with partners that offer at least the same quality as we do, which is why we are happy to introduce them.